We had another great day today. First we went to the summer palace which was amazing even though it was another foggy Beijing day it was still spectacular. We crossed the huge lake in one of the boats which Maddie loved. We then travelled back to the city where we had Peking duck in one of the local restaurants and I have to say it was the best Peking duck I have ever had. 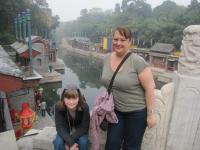 Next we went to one of the local hutongs to see how the locals live which was a real eye opener. 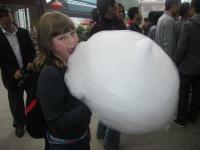 After that I got Maddie a fairy floss on a stick which in all honesty was bigger then her head I swear. 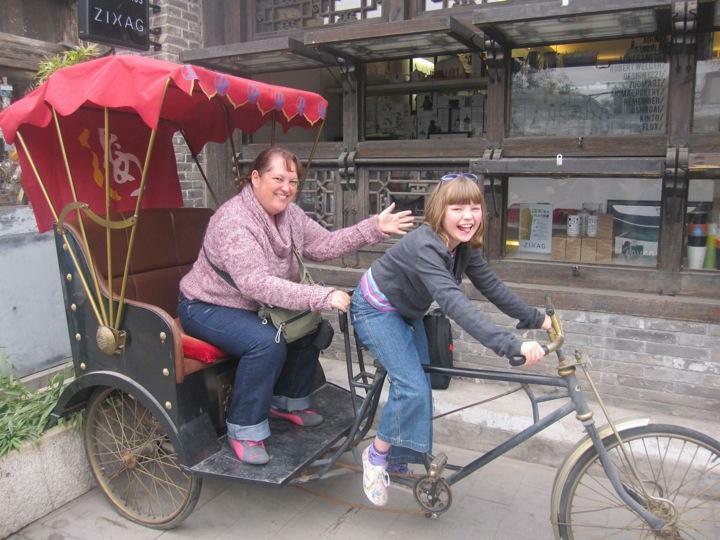 After this we went to Beihei Park and the Lama Temple which again were both amazing. Need to have an early night tonight as we are up at the crack of dawn to make our way to the Great Wall.